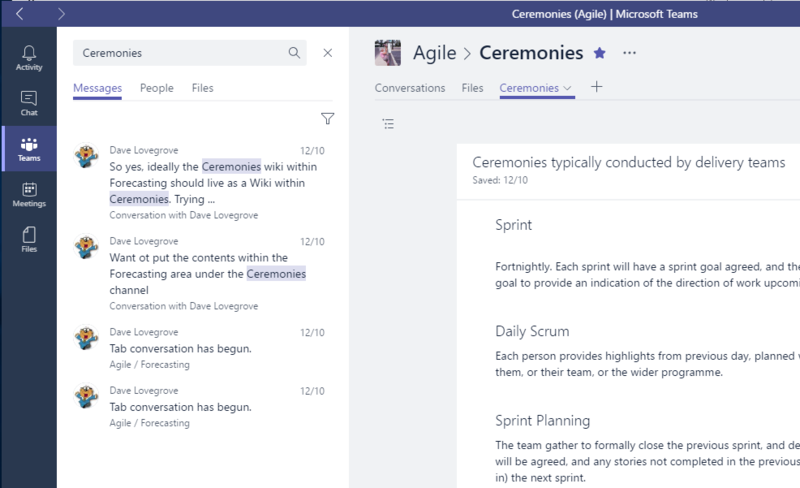 Home › Office 365 › Microsoft Teams › Microsoft Teams – Seek and ye shall not find? 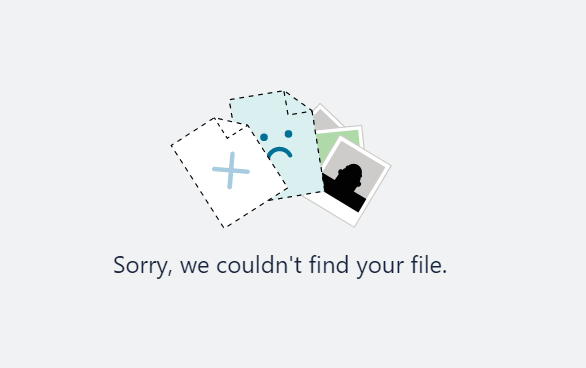 Microsoft Teams – Seek and ye shall not find? One of the features that Microsoft teams offers is Wikis. Wikis will typically be used as a knowledge base. The general problem with a knowledge base is that people might not exactly know what they are looking for therefore a search or filtering is critical to the success of the knowledge base. It’s the same within Microsoft Teams. 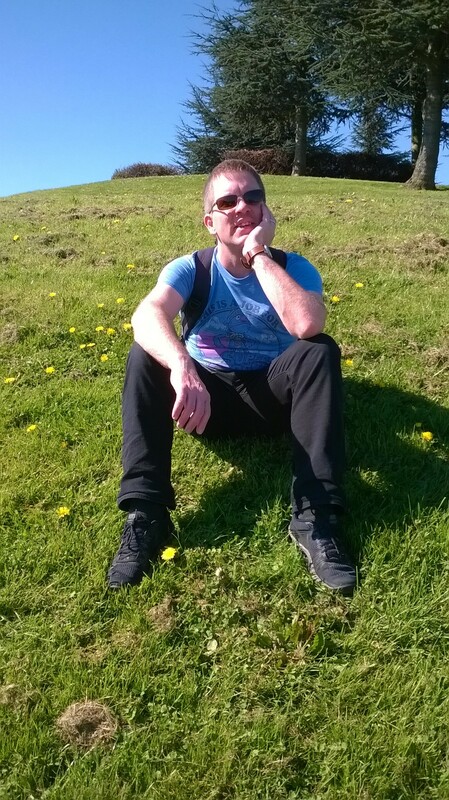 So my colleague created a wiki all about Agile processes. 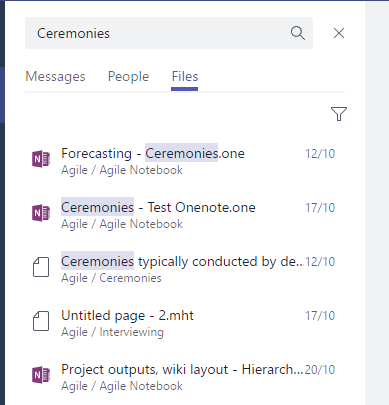 Then I tried to search for the word “Ceremonies” in Messages in Microsoft Teams and I found some of the conversations. So far so good! Now I’ll try to find the Wikis so I clicked on the Files tab. 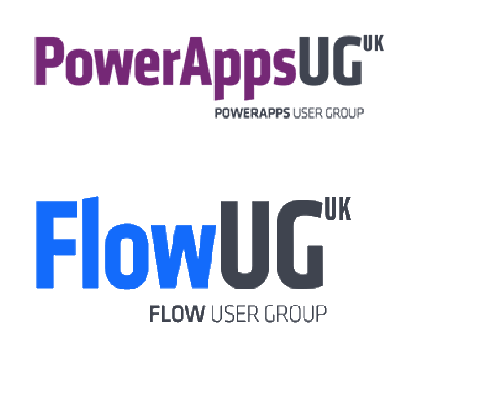 ‹ Microsoft Teams – Is the success of uservoice killing off your voice?